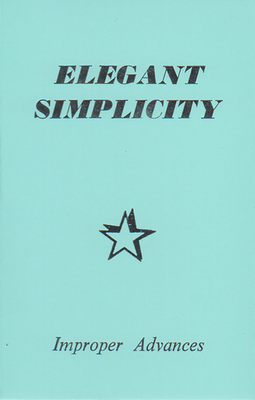 This was the first Elegant Simplicity album – an entirely instrumental release. Lots of good rocking songs and plaintive ballads – did very well on its initial release. 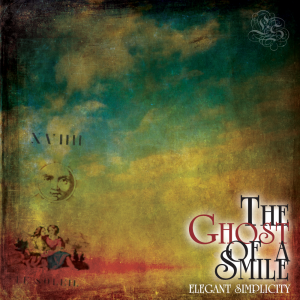 And now, June 8th 2011, it is finally re-released, re-mastered and re-vamped for the digital age. To celebrate the arrival in the shop of this album, a new set of notes has been drafted, written from the point of view of 2011. 01. Simple Things (5:17) This is a kinda funky number with a great unison synth and guitar melody. Pretty ropey piano solo, though, otherwise a jolly good song with a stonking guitar solo to finish. 02. Behind the Eyes (5:15) This has a really quirky intro that merges into a hyper synth solo against a crazy piano riff. After that it turns into a slow ballad with a great low guitar riff followed by some percussion against a gorgeous guitar break. Quirky, but a great track. I was going to knock off a minute or two from the end, but what the heck! 03. Dangerous Curves (4:4) Fast little tune with lots of stops and starts around a pretty guitar melody. Overlong, though, but a great ending saves it! 04. Hearts in Harmony (4:52) This is the original version of the song featured on Reversal of Time. Unfortunately, I was unable to remove all the background noise from the intro without impacting on the overall audible experience. One of my favourite songs, this. Each time the melody comes in, the key changes and then we get the frenetic organ solo and perhaps one of my few recorded super fast guitar solos! 05. An Optimistic Note (8:26) A long track going through many turns and sounds. The last few minutes were totally unrehearsed and is a great example of capturing the moment when you are ‘in the zone’. This is quite a heavy song at the start before giving way to a characteristically melodic guitar refrain. Love it – I would love to re-record it some day. 06. One More Fall (4:59) This is a jolly up-tempo rocker, with a great synth riff and distorted arpeggio at the start followed by some groovy power chord thing! And then it goes a bit heavy with a rocking riff and some blues-inflected soloing on the guitar. Peppered against that is a counter medley on the synth before a superb chorus kicks in. A great song, which speeds up something odd towards the end accompanied, naturally, by another great solo! 07. 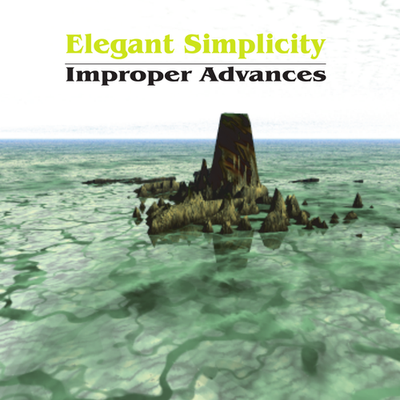 Improper Advances (6:09) Title track of the album, this is a slow semi-jazz-blues piece. The flute sound is not particularly good (didn’t have a flute back then! ), but it sounds pretty decent in the context of the track. Some blues-rock styled guitar work followed by a beautiful synth solo, which is too quiet in the mix, but just loud enough to hear what’s going on. And then a great arpeggio and more guitar! Love this track: despite it being possibly a couple of minutes too long and slightly repetitious. 08. Sad Reflection (5:12) This is a beautiful track, quite complicated harmonically – lots going on behind the atmospheric unison guitar and synth parts. This track also features the legendary Yamaha DX-11 synthesizer! 09. Distant Admiration (8:41) This is a superb piece of music – and I love this song dearly. With big production, it would have been quite something. Anyway, great emotional introduction that keeps getting more emotional as it progresses through the changes and sounds before a rocking bridge section. More DX goodness with the synth solos! This more than redeems the dodgy piano solo found on the first track. Oh, there’s a terrific syncopated riff in their, too, which leads into the guitar solo which really rocks. The final coda is a great, classic sounding descending riff with all manner of synth and guitar goodness. 10. A Sense of Place (5:15) Final track and, like Behind the Eyes, more than a little quirky. Synth solo sound is a little harsh on the ears and the DX bass could have been better, but the guitar is rather good. The end has a rather nice unison thing happening, accompanied by some nice keyboard noises and guitar solo. And that’s it – our very first album. Looking back on it with 2011 eyes, I guess it is little more than a demo album, but a jolly good listen nonetheless.